With LogicNets you can directly create powerful applications to automate and share your special expertise — whether business, technology, medicine, or any other field. No coding is required. Instead, you visually map your knowledge and leverage our use case-specific packaging options to create ready-made solutions for your unique processes. 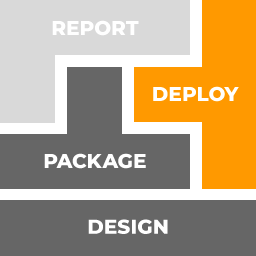 A one-step publishing and deployment process lets you make your applications available to your community instantly. Once your application is in use, a range of reports let you measure the benefits and provides you the insights for continuous improvement. Applications start as projects you create and edit in your designer. Here you select from a range of building block functions to visually map and capture the business logic that drives your applications. Choose from any of our pre-configured packaging options to match your use case and optimize the user experience. You can also collaborate with your IT staff to customize or build your own packaging options with our designer. 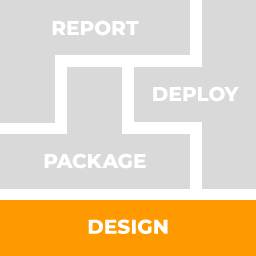 Once your application is ready for user interaction, our one-step publishing process enables immediate deployment. You can publish to multiple channels and then manage your published applications from our management dashboard. 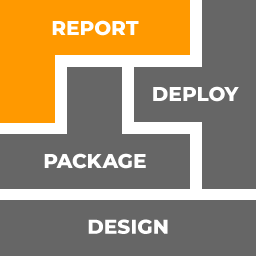 Once users are accessing your applications, our built-in reporting options allow you to easily measure usage, assess the benefits, and gain insights for continuously improve your applications.